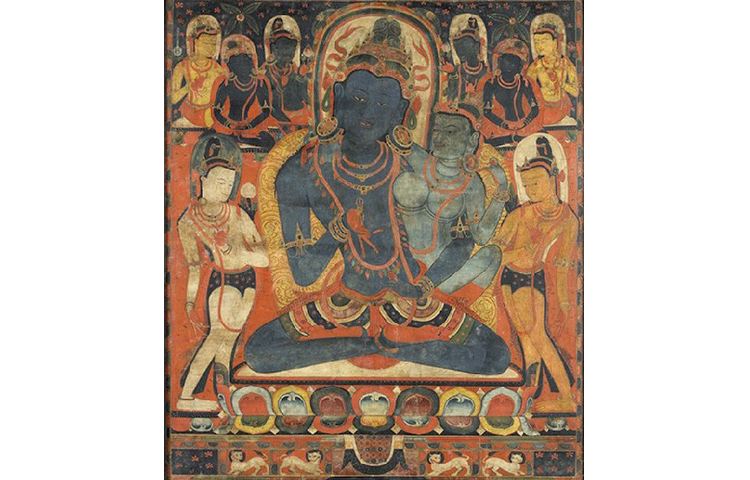 The teachings of the tantric lineage of the Zur clan, which flourished in West Tibet during the early second millennium, have remained a missing element in the history of the “ancient,” Nyingma school of Tibetan Buddhism. While the historical importance of the clan is well known and significant lines of transmission are attributed to it, few authentic works stemming from the Zur and detailing their tradition have appeared. The recent discovery of a major synthetic treatise, The All-Encompassing Lamp of Awareness, by a 12th century successor to the Zur and treating all major aspects of their doctrinal heritage, permits us for the first time to consider their contribution in substantial detail. Matthew T. Kapstein received his Ph.D. from Brown University and specializes in the history of Buddhist philosophy in India and Tibet, as well as in the cultural history of Tibetan Buddhism more generally. He regularly teaches Contemporary Theories in the Study of Religion in the History of Religions program, and Introduction to the Philosophies of India in Philosophy of Religions. His seminars in recent years have focused on particular topics in the history of Buddhist thought, such as Buddha Nature, idealism, and epistemology (pramāṇa), or on broad themes in the study of religion including the problem of evil, death, and the imagination. Kapstein has published over a dozen books and numerous articles, among the most recent of which are a general introduction to Tibetan cultural history, The Tibetans (Oxford 2006), an edited volume on Sino-Tibetan religious relations, Buddhism Between Tibet and China (Boston 2009), and a translation of an eleventh-century philosophical allegory in the acclaimed Clay Sanskrit Series, The Rise of Wisdom Moon (New York 2009). With Kurtis Schaeffer (University of Virginia) and Gray Tuttle (Columbia), he has completed Sources of Tibetan Traditions, published in the Columbia University Press Sources of Asian Traditions series in 2013. Kapstein is also Director of Tibetan Studies at the École Pratique des Hautes Études, Paris and current Numata Visiting Professor of Buddhist Studies at the University of Chicago.